Approximate Dimensions: 5-1/2 x 6-7/8 in. Comes in a hinged box with lid. 20 flashcards. For ages infant to toddler. 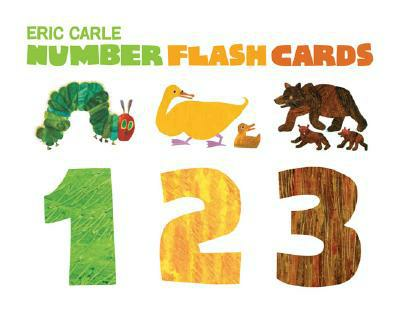 These durable flash cards from Eric Carle best-selling author of The Very Hungry Caterpillar, Brown Bear Brown Bear, and many others feature his beloved animal illustrations and serve as a delightful introduction to counting. The thick, sturdy cards are durable enough for play and decorative enough to hang on the wall. Includes two sets of the numbers 1-10.